Contrapunctus is an European research project, started on 1st June 2006 and ended on 31st May 2009. Its main goal is to design and to develop a demonstrative service allowing blind musicians a faster and easier access and use of the Braille music scores, filed in libraries and transcription centres. In order to achieve this purpose, the project foresees the research and the development of tools to file, through an innovative system, the Braille music texts of the most important European libraries for the blind. This system will also allow to share the texts through the net and to offer new solutions for reading, comprehension and memorization of music. Develop instruments in order to preserve Braille music files, existing in the most important European libraries for the blind and share them over the net. Developing innovative access methodology to music. Unification of existing national ASCII format, thus assuring compatibility between all texts. 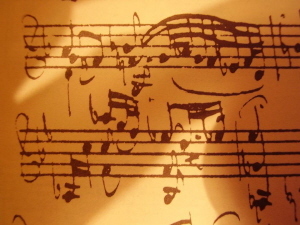 Libraries will therefore be able to share music scores. Development of a Braille music oriented XML code. Development of a software integrated package, capable of reading and interpreting Braille music scores. Development of a flexible browser/reader for the blind in order to access digitalized music, allowing the user to read, manipulate, print scores, according to personal specific needs (beginner, blind music teacher, amateur, etc.). Development of a demonstrative on-line portal to access a Braille score library.